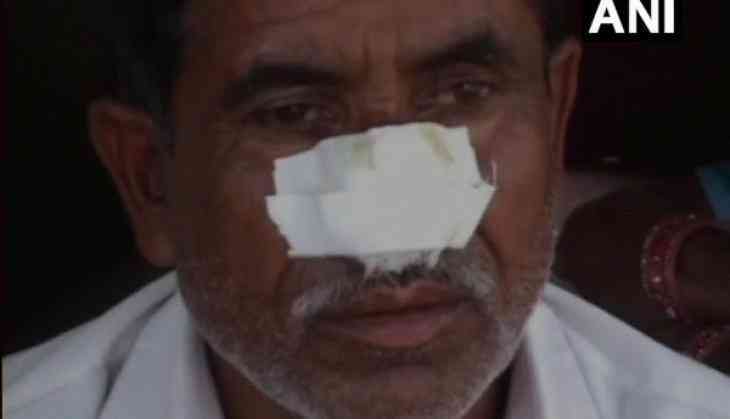 A resident of Ramlalpurva village in Kannauj allegedly gnawed off his elder brother's nose as the latter refused to give him money to buy alcohol. The accused Shrikant, who is in police custody, was in an inebriated state when he attacked his brother. According to the Sub-Inspector Jitendra Singh, Thathiya police station the victim Sobran fainted on the spot after suffering brutal pain. "Based on the medical report of the accused a report shall be filed" Singh told ANI. The accused father said that he also tried to bit off his arm after attacking his brother. "He bit me and my father. He also attacked his mother and his uncle. He completely bit off my tongue and also my hand and stomach. My entire nose has been mutilated. Then I was taken to the civil hospital," said accused's father. The accused said that he did not remember anything and rather blamed his family for fighting among themselves.